Rashid Khan, Afghanistan’s 18-year-old wrist spinner, has been named as the Associate Cricketer of the Year after he helped his side to victory in the Intercontinental Cup by finishing with 23 wickets in three matches. 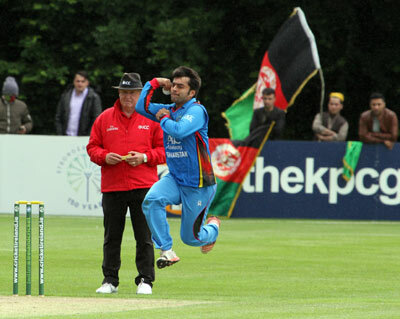 Rashid, who is the second Afghanistan player to clinch this award, was also the leading ODI wicket-taker in the voting period with 50 wickets in 19 matches, while 13 T20Is also yielded him 23 wickets. Rashid Khan was over the moon after hearing the news, when he said: “I'm really honoured and happy to be named as the Cricketer of the Year. 2017 was a good year for me and I have lots of memories from last year, which are going to stay with me for a very long time. Khan beat Ireland's William Porterfield and Scotland's Kyle Coetzer to the award.